Camellias are one of the most popular winter- and spring-flowering shrubs, providing a vivid splash of colour when little else is in bloom. Although they need acid soil, they are easy to grow in containers of ericaceous (acidic) potting compost. Camellias are woodland plants that grow best in shelter and light shade, although with careful watering they can be grown in sunny positions. They prefer free-draining conditions, with plenty of organic matter, such as leaf mould, incorporated into the soil. Being ericaceous plants, camellias require an acid soil. If your soil isn't acid then consider growing your camellia in a container. Tap water, especially in hard water districts, often contains too much calcium for camellias, reducing the acidity around the roots over time. Rain water is ideal for watering camellias. If rain water runs out, tap water is satisfactory for a month or two in summer. Feed camellias in spring and early summer with acidic fertilisers, such as Chempak Ericaceous, Miracle-gro Ericaceous, sulphate of ammonia or sulphate of potash. Controlled release fertiliser pellets are available from Miracid and Phostrogen to mix into the potting compost of container-grown plants, avoiding the need for further feeding until the following season. You can use organic-based fertilisers, including seaweed products and fish, blood and bone. It should be noted, however, that fish, blood and bone is mildly alkaline (because of the calcium in the bone) so it would be best not to use where the soil is pH of 7 or above (neutral to alkaline) as this could encourage deficiencies such as chlorosis. To be clear, though, annual applications are unlikely to cause much problem and, where the pH is increased, the soil could be acidified to compensate for applying this useful fertiliser. If the weather remains dry directly after applying fertiliser, water to dissolve the fertiliser and avoid damage to the roots. Camellias make lovely container-grown plants and this is a particularly good method if your garden soil is too alkaline for camellias. Use an ericaceous or multi-purpose potting compost. John Innes ericaceous compost usually gives good results, as its loam content makes it especially easy to manage. RHS research has found that soil-less potting media, including peat-free potting composts, are suitable for camellia growing. However these composts can lose their structure over time leading to poor drainage and an airless root environment, causing leaves to brown and die back. Re-potting in spring every other year into fresh potting compost is recommended. In the intervening year, replace the top 5cm (2in) of compost. Once in the largest pot manageable, consider root pruning. Trim off up to twenty percent of the roots and compost. Re-pot back into the same container filling the gaps with fresh potting compost. Protect compost from freezing during winter by wrapping pot with fleece or bubble wrap. Like other early-flowering shrubs, camellias form flower buds in late summer and autumn, especially on new growth. Pruning at this time could remove potential flowering growth. 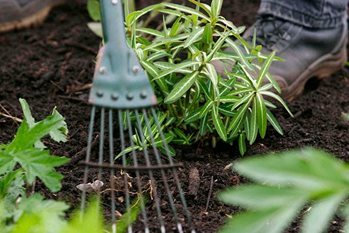 Therefore pruning is best done in spring, immediately after flowering and following the advice given for other evergreen shrubs. Where an overgrown camellia needs to be reduced or renovated, hard pruning is usually safe and reliable. Camellias can be propagated from semi-ripe cuttings, hardwood cuttings, layering and grafting. Seed is also an option, but seedlings will not usually come true to parent type. Semi-ripe cuttings often root better if slightly wounded by taking a 1.5cm (5/8in) strip of bark off the base of the cutting and dipping the wound in hormone rooting compound. Hardwood cuttings are taken as for semi-ripe cuttings, but between autumn and late winter. They can root in three months. Camellia × williamsii ‘Donation’ AGM: With large pink semi-double flowers, this easy-to-grow shrub is deservedly popular, flowering from late winter to mid-spring; 5m (15ft) eventual height and 2.5m (8ft) spread. Camellia japonica ‘Adolphe Audusson’ AGM: With large, bright red flowers in early spring, this camellia is strong-growing but shapely; 5m (15ft) eventual height and 4m (12ft) spread. Camellia ‘Cornish Snow’ AGM: A hybrid of C. cuspidata and C. saluenensis, this camellia has numerous small, white single flowers in late winter; 3m (10ft) height and 1.5m (5ft) spread. Camellia sasanqua and its cultivars flower with scented blooms from mid to late autumn and thrive in a position of full sun. In cold regions they are best grown in pots and given winter protection. Despite being easy to grow, camellias are occasionally subject to problems. Flowers can be damaged by rain and frost, but camellia petal blight may also be involved. Like many evergreen plants camellias are vulnerable to windy, cold or wet weather, developing wind scorch, oedema or a coating of algae on the leaves. Nutrient deficiencies may cause yellowing foliage where alkaline soil (usually greater than pH6.5) prevents uptake of certain nutrients. Camellias can succumb to pests and diseases, including Camellia yellow mottle virus, vine weevil (especially those grown in pots), camellia cushion scale, camellia gall and the root diseases Phytophthora and honey fungus. As with all evergreen shrubs, leaves are replaced every few years; each year a proportion of the foliage (mainly older leaves near the base and within the plant) are shed, usually in spring and summer. This is normal and not a cause for concern.